Rajiv Ruia director of film Zindagi 50-50 made under the banner of Ramgopal films & Spotlight Productions invited the cast and crew of the film at audio launch. Vivek Kar who is starting his career in music from this film was very nervous. Rajan Verma who played Kasab earlier is playing auto driver Birju in this film. Supriya Kumari from television got break with this film, while, Veena Malik is playing a role of prostitute. Promos of actors were shown to media and guests. 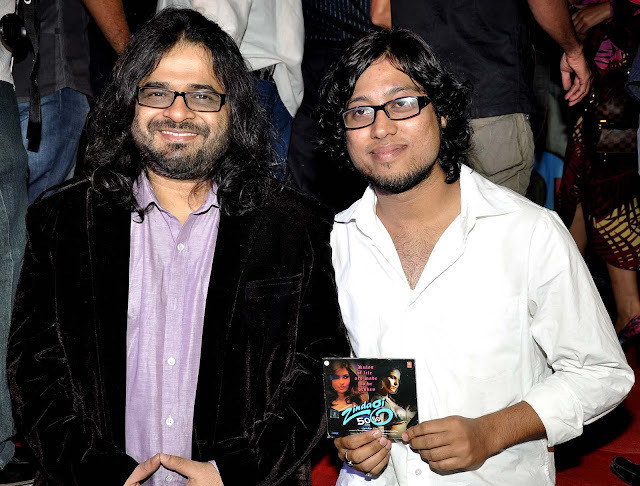 Music director Pritam and Shravan Rathod came to release the audio. Other guests who came were Kalpana Pandit, Saawan Kumar Tak, Sandeep Malani, Mushtaq Khan, Manoj Joshi, Vishwajeet Pradhan, Amjad-Nadeem, Shabbir Ahmed, Murli Sharma, Atul Parchurekar, Yogesh Lakhani of Bright Outdoor and the Pakistani actress Meera.